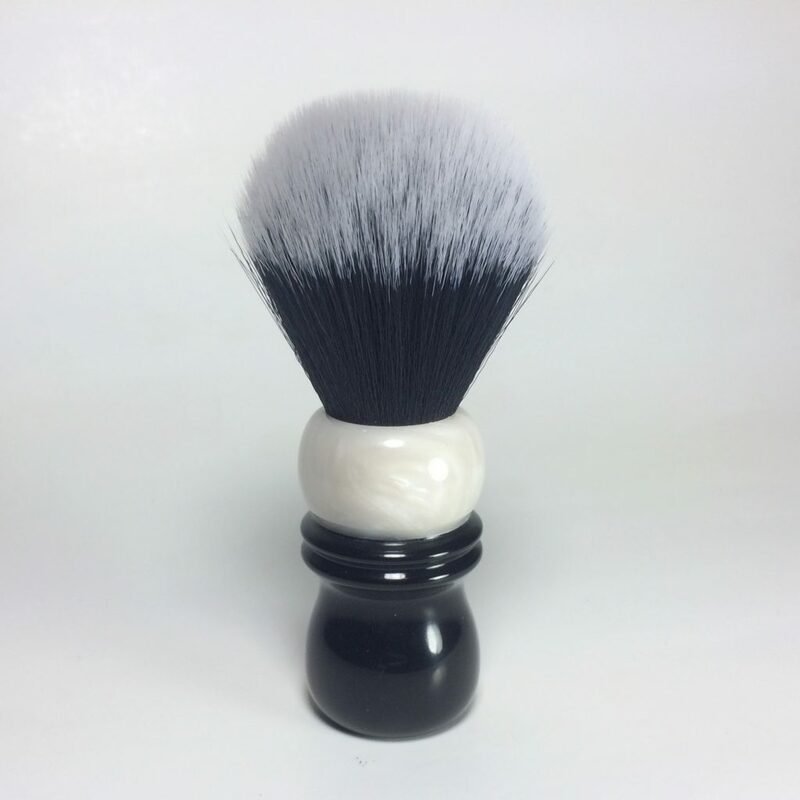 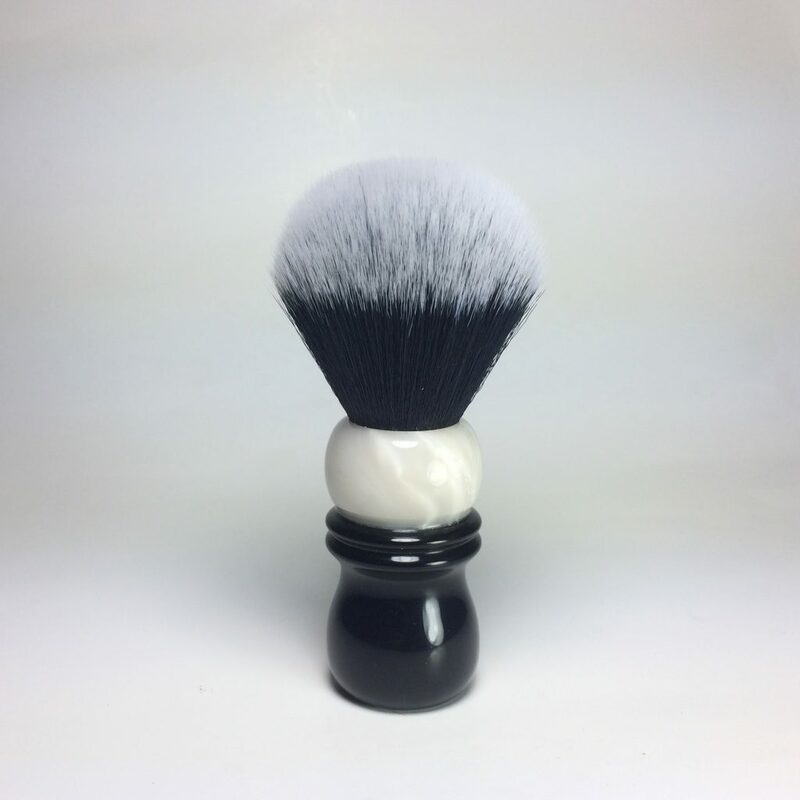 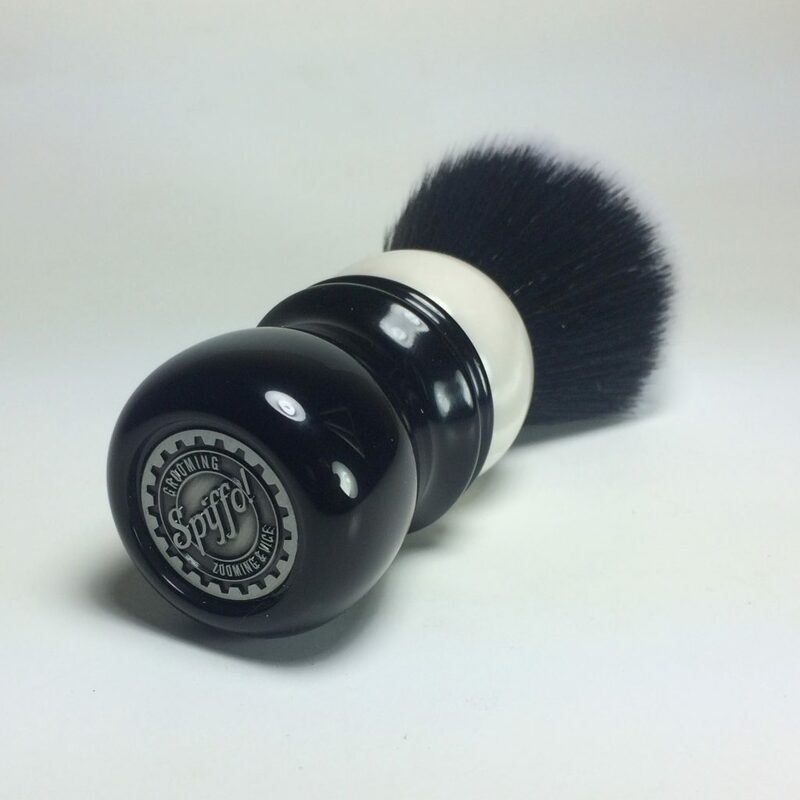 This beautiful shaving brush is made of hand-turned and polished resin and features a 24mm Tuxedo knot with a 64mm loft. 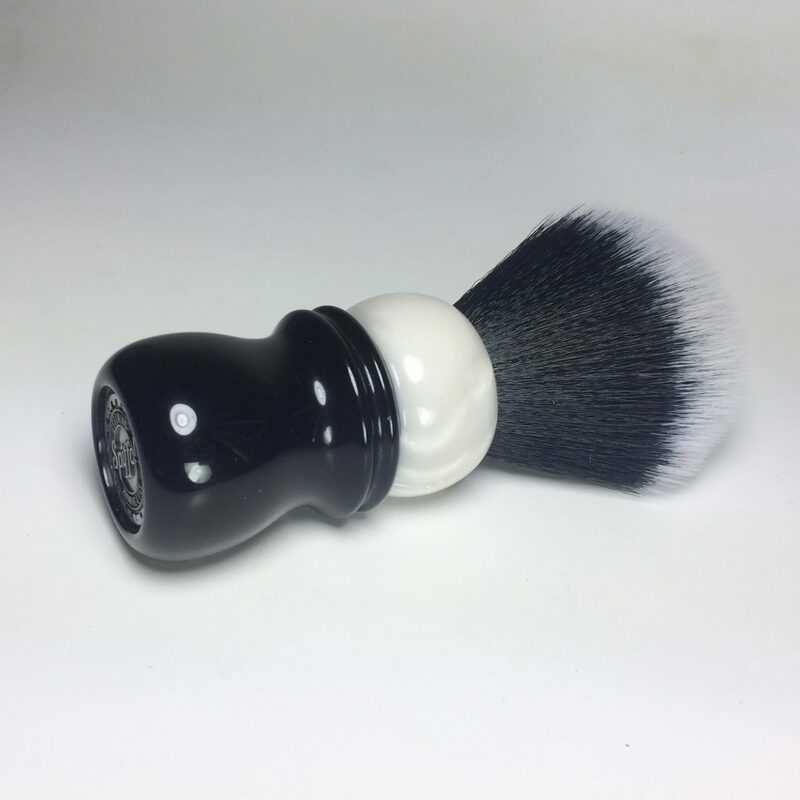 The solid black base is highly contrasted by the white pearl cup creating a truly one of a kind piece. 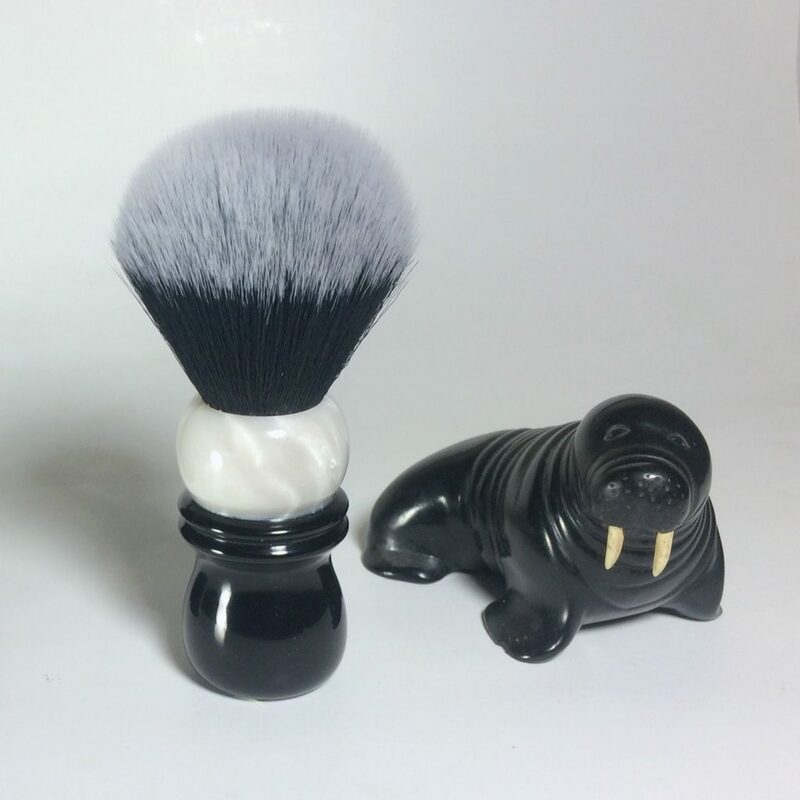 The inspiration for this piece came from a small argillite and bone carving of a walrus that has adorned a shelf in our home for many years.